National Geographic is giving snow lovers a chance to win a seven-night ski getaway for two in its Ski Canada and Explore Like a Local contest. 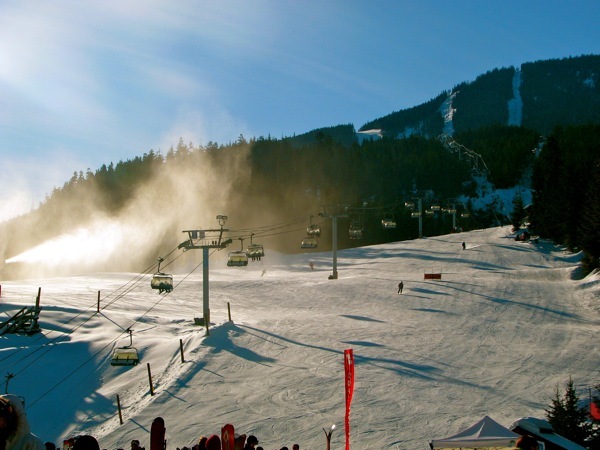 The grand prize may be used at one of four western Canada ski resorts: Banff & Lake Louise, Fernie, Sun Peaks and Whistler. In 200 words or less, explain why you want to visit your selected resort. The essays will be judged on creativity (be descriptive); humor (important); and literary ability (watch your style and grammar). The contest is open to legal residents of the 48 contiguous United States (sorry, Alaska and Hawaii) and the District of Columbia; must be at least 21 years old and have had internet access since 11/15/11. Deadline to enter is Feb. 15, 2012 at 11:59 PM. The Grand Prize Winner will be announced via email on or about March 7, 2012. The winning essay will be posted on this site on or about March 22, 2012. Click here to enter.